This luxurious country lodge, straddling a river bulging with jumping salmon, Hotel Rangá gives you an abundance of fresh food, incredible views and if you are a bit of a thrill seeker, how about a private helicopter ride over the glaciers, taking off right from the hotels back garden. 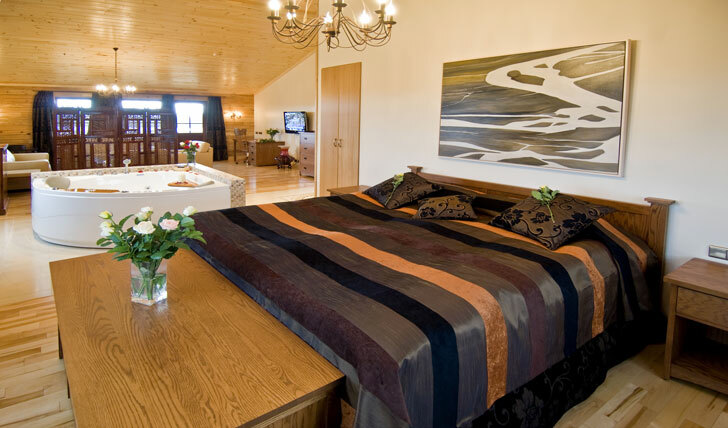 In the beautiful Icelandic countryside, just a couple of hours from Reykjavik airport, is Hotel Rangá. Set amongst the southern landscapes of this dramatic country, Rangá is in the perfect location for the best sightings of the elusive yet equally spectacular Northern lights. With each suite kitted out in a unique style that reflects one of the seven continents, the combination of luxury, comfort and exclusivity will appeal to you: our favourite discerning traveller. Nothing will wake you up from your peaceful slumber. 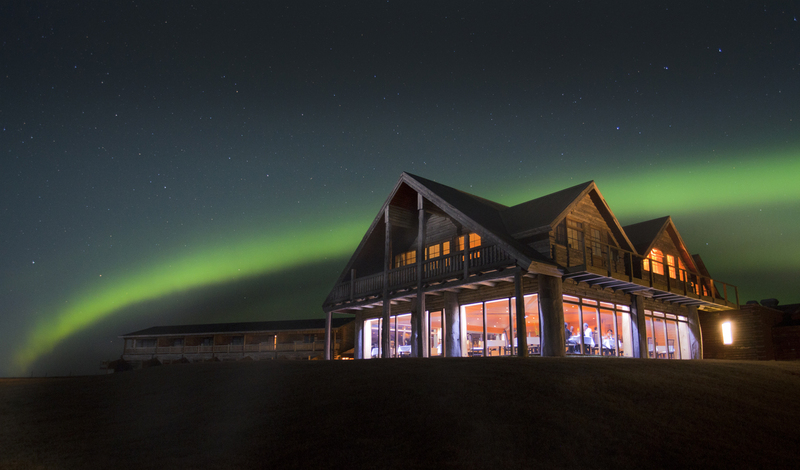 Nothing but the dedication of the staff who will make sure you don’t miss the wonder of the Northern Lights with a personal wake-up call. Now how’s that for service. Delectable cuisine at Hotel Rangá is modern Nordic with a twist of Mediterranean guaranteeing you fresh and flavoursome bursts with every mouthful. We recommend salmon with sweet potato and white chocolate puree, champagne foam and fresh strawberries, an unlikely but exquisite and surprisingly mouth-watering combination. Oh and the Northern Lights wake up service is pretty special too.